Ben's practice is focussed on heavy-duty commercial litigation and arbitration (including civil fraud, banking, energy, insurance and shipping), as well as EU/competition law and public international law. He is frequently instructed in High Court proceedings (in the Commercial Court, Chancery Division and Financial List), and has appeared in the Supreme Court and Privy Council. He has appeared in many of the biggest cases in the English courts in recent years, including cases named in The Lawyer's Top 20 Cases of 2016, 2017 and 2018. Recent cases include the successful defence of the Candy Brothers in Holyoake v Candy  EWHC 3397 (Ch) (led by Tim Lord QC and Thomas Plewman QC), a £132m claim alleging conspiracy in relation to a property transaction; Property Alliance Group v RBS  EWHC 3342 (Ch) and  EWCA Civ 355 (led by Tim Lord QC), the leading case on a number of key issues in banking law including swaps misselling and LIBOR rigging; Pinchuk v Bogolyubov & Kolomoisky (led by Mark Howard QC), a multi-billion dollar dispute between Ukrainian oligarchs concerning ownership of an iron ore mine which settled on the eve of trial, and Gerald Metals v Timis  EWHC 1375 (Comm): (led by Ali Malek QC and Alan Gourgey QC) in a US$100m deceit unlawful means conspiracy claim concerning a mining transaction, raising complex jurisdiction and governing law issues. KUFPEC v Enquest : (led by Daniel Jowell QC) a c.US$100m breach of warranty dispute arising out of a North Sea Oil project. Ben graduated from the University of Oxford, winning the Gibbs Prize for the Best Thesis in Politics, and then studied law as a Karmel, Bedingfield and Lord Reid Scholar of Gray’s Inn. He has considerable advocacy experience, and is a former Best Speaker at the World Universities’ Debating Championships. Property Alliance Group v RBS: A complex banking dispute concerning swaps misselling, LIBOR manipulation and RBS's controversial Global Restructuring Group, another of the The Lawyer's Top 20 Cases of 2016 (led by Tim Lord QC). This is the first civil claim in relation to both LIBOR and GRG to come to trial. Other claims against banks concerning restructuring units (including GRG), Swaps mis-selling and LIBOR manipulation. Chamonix v Caledonia  EWHC 3290 (Comm), a multi-million pound private equity dispute about breach of confidentiality and exclusivity (led by Alec Haydon). 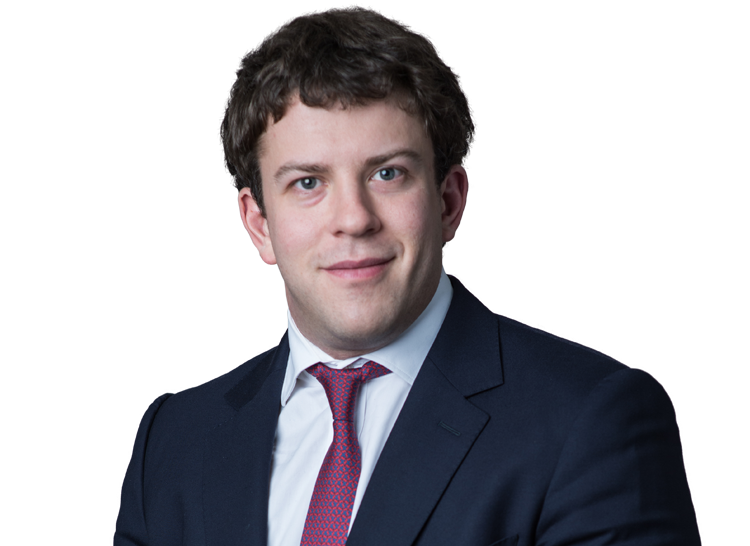 Ben has experience in all areas of EU and Competition law work, including follow-on damages claims, Commission and domestic regulatory investigations, general EU law and state aid. -SeaFrance v CMA  UKSC 75 (with Kelyn Bacon QC). An appeal to the Supreme Court concerning when the merger control rules apply to dormant/insolvent companies under the Enterprise Act 2002. -R (Wheeler) v Office of the Prime Minister  EWHC 3815 (Admin). A high-profile expedited judicial review concerning the government’s decision to re-enter the European Arrest Warrant Scheme. This was the first case to consider the impact of the ‘referendum lock’ in the European Union Act 2011 (as a pupil, assisting Richard Gordon QC and Gerard Rothschild). -R (British Academy of Songwriters et al.) v Secretary of State for Business, Innovation and Skills  EWHC 1723 (Admin). A judicial review of the decision to implement the ‘private copying exception’ to copyright law in the UK (as a pupil, assisting Nicholas Saunders). -Case C-138/15 P Teva v EMA . Appeal to the ECJ concerning orphan medicinal products (as a pupil, assisting Kelyn Bacon QC).